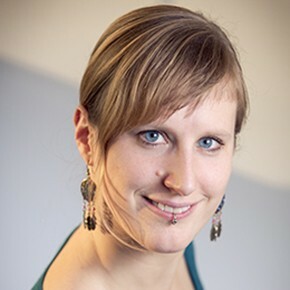 Felienne Hermans is an assistant professor at Delft University of Technology. Her team at the Spreadsheet Lab works on making spreadsheets better by designing tools to test and improve them. One of Felienne’s biggest passions in life is to share her enthusiasm for programming with others. Therefore she co-organizes the yearly “Joy of Coding” conference in the Netherlands and teaches robotics at a community center each Saturday. Application of software engineering methods to spreadsheets. Hermans, FFJ (2013, January 23). Analyzing and visualizing spreadsheets. Delft University of Technology (162 pag.). Prom./coprom. : Prof.dr. A van Deursen & Dr.ir. M Pinzger. Hermans, FFJ, Sedee, B, Pinzger, M & Deursen, A van (2013). Data clone detection and visualization in spreadsheets. In D Notkin, BHC Cheng & K Pohl (Eds. ), Proceedings 2013 35th International Conference on Software Engineering (pp. 292-301). Piscataway, NJ, USA: IEEE. Hermans, FFJ, Pinzger, M & Deursen, A van (2012). Detecting Code Smells in Spreadsheet Formulas. In P Tonella, M Di Penta & JI Maletic (Eds. ), Proceedings of the International Conference on Software Maintenance (ICSM) (pp. 409-418). Los Alamitos: IEEE. Hermans, FFJ, Pinzger, M & Deursen, A van (2012). Detecting and Visualizing Inter-Worksheet Smells in Spreadsheets. In M Glinz, G Murphy & M Pezzè (Eds. ), Proceedings of the International Conference on Software Engineering (ICSE) (pp. 441-451). New York / Los Alamitos: ACM / IEEE. Hermans, FFJ, Pinzger, M & Deursen, A van (2012). Measuring Spreadsheet Formula Understandability. EuSpRIG 2012: (2012, July 4 – 2012, July 5).